As a null, Scarlett Bernard possesses a rare ability to counteract the supernatural by instantly neutralizing spells and magical forces. For years she has used her gift to scrub crime scenes of any magical traces, helping the powerful paranormal communities of Los Angeles stay hidden. 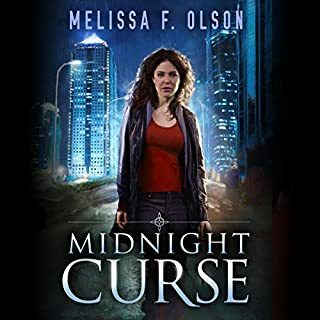 But after LAPD detective Jesse Cruz discovered Scarlett's secret, he made a bargain with her: solve a particularly grisly murder case, and he would stay silent about the city's unearthly underworld. So when two witches are found dead a few days before Christmas, Scarlett is once again strong-armed into assisting the investigation. 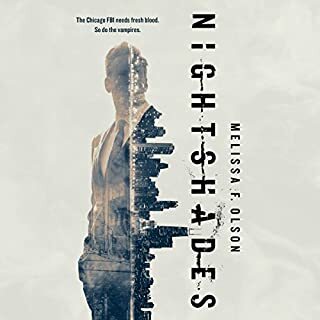 She soon finds a connection between the murders and her former mentor, Olivia, a null who mysteriously turned into a vampire, who harbors her own sinister agenda. Now Scarlett must revisit her painful past to find Olivia - unless the blood-drenched present claims her life first. ©2013 Melissa F. Olson (P)2013 Brilliance Audio, all rights reserved. I would, but only if they really enjoyed the first book and wanted to read the whole series. This book did provide a lot of background to Scarlett’s life and character, and helped advance the overall series plot. It didn’t add a lot as a standalone story though. Do you think Trail of Dead needs a follow-up book? Why or why not? Yes. The ending has a lot of information and action that needs follow-up and explanation. I spent a lot of time hoping that Eli would have a bigger presence. We got to see lots of Jesse, and I have to admit that I was getting bored of him. I wanted some beta werewolf to break up the monotony of the interactions between Scarlett and Jesse. Sadly, Eli was barely present in the story. He did make an appearance at the end with some surprise twists. I am too old to enjoy teen angst, so I really can't stand that same lack of maturity in someone who is supposed to be an adult, albeit a young one. "Ooooh, I'm just so DAMAGED!" "Ooooh, a crazy woman became obsessed with me and killed my parents before I even knew she existed so my parents' deaths were ALL MY FAULT!!" "Ooooh, a crazy vampire is obsessed with me and is threatening my friends, therefore my friends are at risk ALL BECAUSE OF ME!!!" Get over yourself, Scarlett. The only saving grace is that occasionally -- though not nearly enough -- one of her friends will call her out on her BS. But then that makes it seem like the author knows how immature and self-absorbed the main character is and carries on with it anyway. 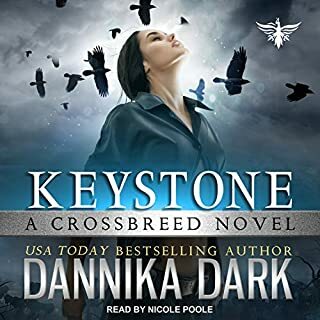 The story was able to carry me through the first book and make me want to see what happened next, but I'm not sure I will even be able to finish the second one. Perhaps Scarlett will mature in a later book, but I'll never know. Oh my god, this is so good! This is one of the few books that my wife and I enjoy together. There are some wonderful twists and turns, as well as some real investigation from Jesse Cruz. There are many other books I would suggest first, but I would not dissuade friends from this book. The ending was good. The author wrapped up the story well. Did Amy McFadden do a good job differentiating all the characters? How? I thought the narration was great. I would go this as a movie. I kind of pictured Scarlet as Jennifer Lawrence though out the book. Enjoyed It "Cover to Cover"
I enjoy Scarlett's character. She's a strong female lead, but fun too. 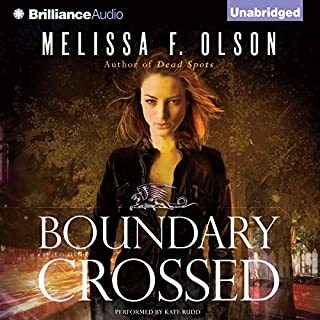 I've never listened to Amy McFadden's narration until these books and she does an excellent job portraying Scarlett and all the other characters as well! This was a great continuation to the series. Can hardly wait for the next! Where does Trail of Dead rank among all the audiobooks you’ve listened to so far? Near the top. I have been a member of audible for several years and have quite a collection going. I usually read a book and if I like it then will get it on cd to listen to in the car. When I love a story and then the narrator of the audio version stinks it can ruin it for me. 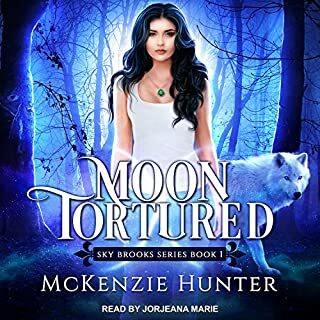 I am happy to say that this narrator is well suited to this series and didn't detract from the story. Although it was strange that she used a different voice for Jesse the cop - I really liked the Hispanic voice she gave him in story one. I decided I didn't care though, just different. She did a good job, hope she reads for the next one as well. I really liked the first book, but I loved-loved-loved the second, although the cliff-hangers at the end are not really my thing. I really enjoyed the love-triangle situation and I can't wait to see how it plays out. All in all, very high expectations for Hunter's Trail - book 3. Would you consider the audio edition of Trail of Dead to be better than the print version? Yes I like the audio books 10 times better than the printed books. What was one of the most memorable moments of Trail of Dead? The way Scar, grows up. Yes, this is better than the first book. I downloaded book one in this series yesterday and before I was half way through it, I was downloading book two. Great story, strong likable characters narration perfect. These two are a great start to what I hope will lead to many more by this author. Well worth the credits, but at under $10 each, I saved my credits. I'm very glad to have found this author. 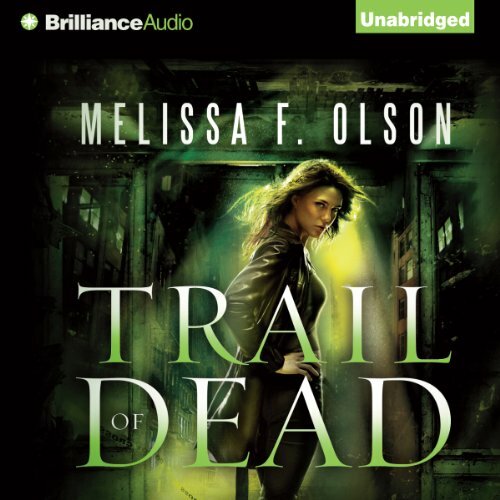 Trail of Dead by Melissa F Olson and narrated by Amy McFadden is book two in the series. 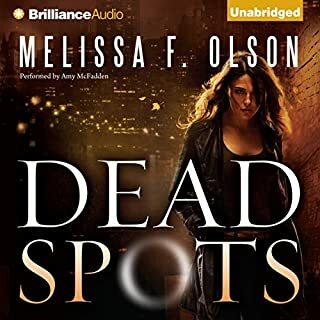 This fantasy novel has Scarlet dealing with an ex-friend then fTrail of Dead by Melissa F Olson and narrated by Amy McFadden is book two in the series. This fantasy novel has Scarlet dealing with an ex-friend then foe who is still after Scarlet and her new friends. Murders, witches, werewolves, vampires,and magic. Lots of magic and suspense with complicated romance thrown in! Scarlet is a Null which means she cancels out other magic when close. Weres shift back to humans, vampires are briefly human again, and magic from witches won't work. She has also learned other tricks that she has to keep secret. Great narration! Really adds to the story! or who is still after Scarlet and her new friends. Murders, witches, werewolves, vampires,and magic. Lots of magic and suspense with complicated romance thrown in! I am not sure if it was the narrative or the great timing of the narrator but found myself smiling to myself several times.